You are going to Watch Fairy Tail (Official Dub) Episode 30 English dubbed online free episodes with HQ / high quality. 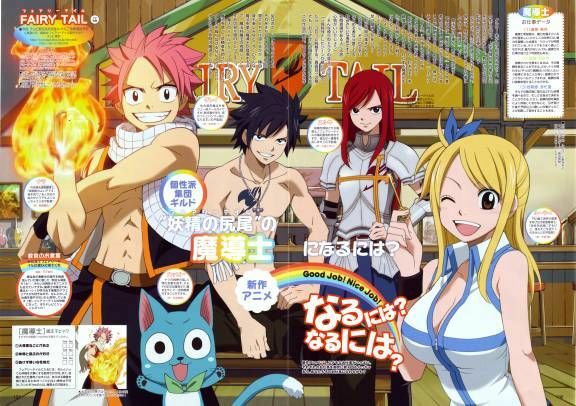 Stream Anime Fairy Tail (Official Dub) Episode 30 Online English dub Next Generation. The Magic Council expresses its disapproval with Fairy Tail, but is unable to force them to disband. Makarov’s friend from the council, Yajima, suggests that Makarov retire and choose a successor. However, Makarov refuses to retire upon hearing the destruction caused by Natsu and his friends on their latest mission. Meanwhile, the heroes are forced to perform a play for a failing theater. Though they seemingly ruin the play and destroy the theater with their antics, it greatly entertains the audience and becomes a success.